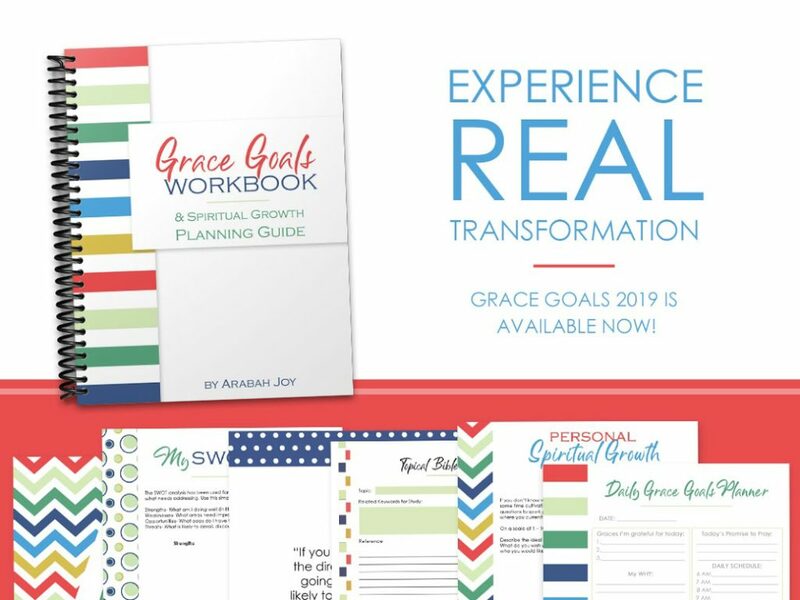 If you were wondering how to make REAL spiritual progress this year, Grace Goals is for you. I promise this is NOT a sale’s pitch – it is really something that has changed my life. My mom was commenting on how much patience I have the other day. IT IS NOT AN ACCIDENT that God has been working on my heart this year because of Grace Goals. Last year I really wanted to see a change in my patience. I really felt the conviction from the Holy Spirit and knew I needed to change my response. No amount of books, blogs, or seminars was going to do it. It was going to HAVE to be the Holy Spirit’s work in my life (and a conscious decision on my part). That’s when I turned to Grace Goals. I used the section “God’s Approval” to write down all of the scripture related to patience. After doing the study, I realized patience wasn’t something that would just naturally come if…. I had a different set of circumstances. Patience was only going to come through the power of God’s grace in my life and praying for it. So for the entire year I would wake up each day and ask for patience. Did I lose my temper? YES!!! More times than I would care to admit, but I also saw victory. The victory isn’t in the program, but the POWER behind the program. Grace Goals gets to the ROOT and HEART of the matter. It is more than just a “goal” setting plan. I’ve had enough of those, haven’t you? Grace goals gets to the heart of the issue – not just the plan to “fix” something. You read the Bible and know God has more for you. More victory. More godliness. More impact. More promises to inherit, more legacy to leave. But the gap between your hopes and dreams and your reality can be maddening at times. Whether it’s over-eating, yelling at your kids, too much social media, being stuck financially, or a thousand other things, most of us have something we want to change in our lives… something that nags us, even keeps us up at night. You KNOW there’s more for you in Christ. 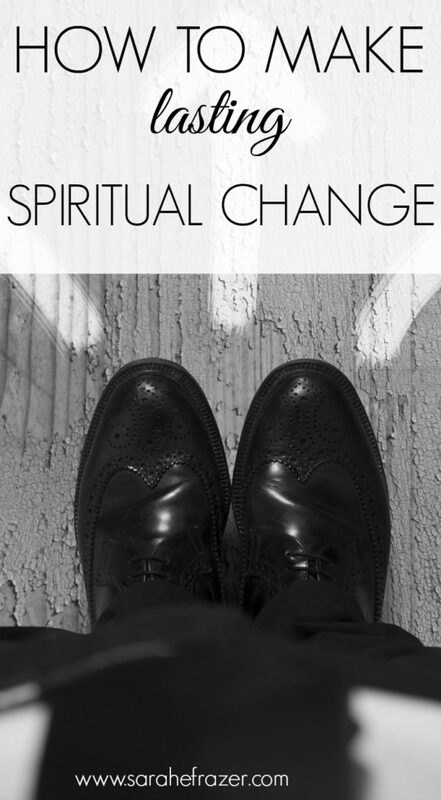 The question is, HOW can you experience true transformation? Let’s face it, fleshly techniques and worldly wisdom aren’t enough to accomplish true transformation … yet that’s all the world can offer. But we, as believers in Christ, we are uniquely positioned to access the power of God. Think about that! And here’s the cool thing- God’s power is dispensed via His GRACE. This year, Grace Goals is SO much better! Use this guide to prayerfully evaluate the events, lessons, and heartaches of the previous season. You’ll come to terms with the hard places, celebrate the blessings, and find the courage to leave the past in the past. Fully giving ourselves the gift of a fresh start … because Christ sure has… is not only healthy but a smart way to start the new year. With these worksheets, you’ll assess your spiritual health, identify strengths and weaknesses with the SWOT analysis, and pinpoint your FOCUS areas. I’ll walk you step-by-step through the entire process and it’s much easier than it sounds 😉 You’ll come away with 1. lightbulbs. They’ll be going off all over the place. And 2. An overall picture of where you need to go. Go team! Keep things simple and always know what steps you need to take next with our planner pages. You also get tools for tracking your progress, understanding strategic adjustments, and knowing how to plan on both large and small scales. Plus, the planner pages are beautiful. Just sayin’. This. Right here is the Grace Goals difference. Here’s where you will lay a solid biblical foundation for your goals with our core Grace Goals workshops. 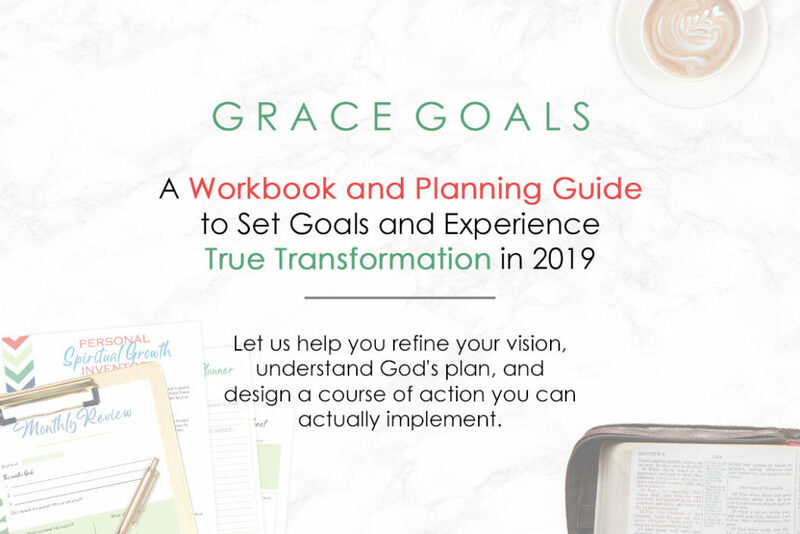 After completing these 5 mini-workshops, you’ll have an implementation plan and the tools you need to stay motivated and empowered by God’s grace.